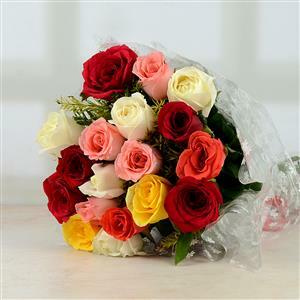 Bright 18 multi coloured roses in a bunch is all about unending happiness. 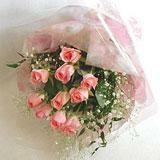 Make this a special gift for the person you love the most! 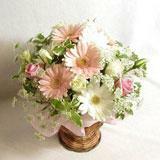 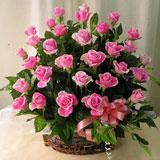 We ensure that the flowers you send to all cities in India through GiftsAcrossIndia.com will be delivered all fresh. 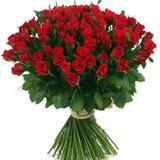 Add to his/her joy by presenting this assortment as a surprise. 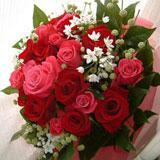 With us, you can send Gifts across India safely and securedly.